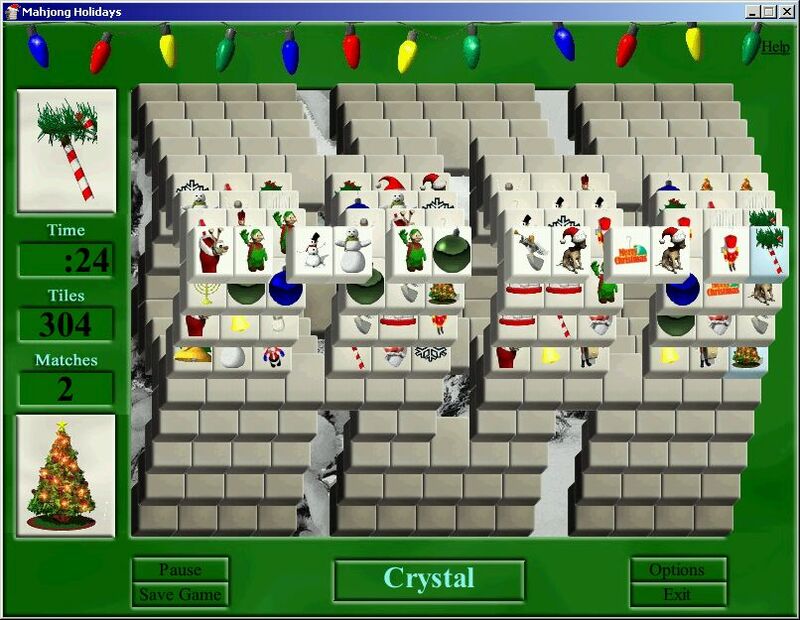 It's time to ring in the holidays with Mahjong Holidays II. new Super mahjong Tile Game - Mahjong Holidays II for you ! Mahjong Holidays II It's time to ring in the holidays with Mahjong Holidays II. This festive version of mahjong tile game will delight even non-mahjong lovers. 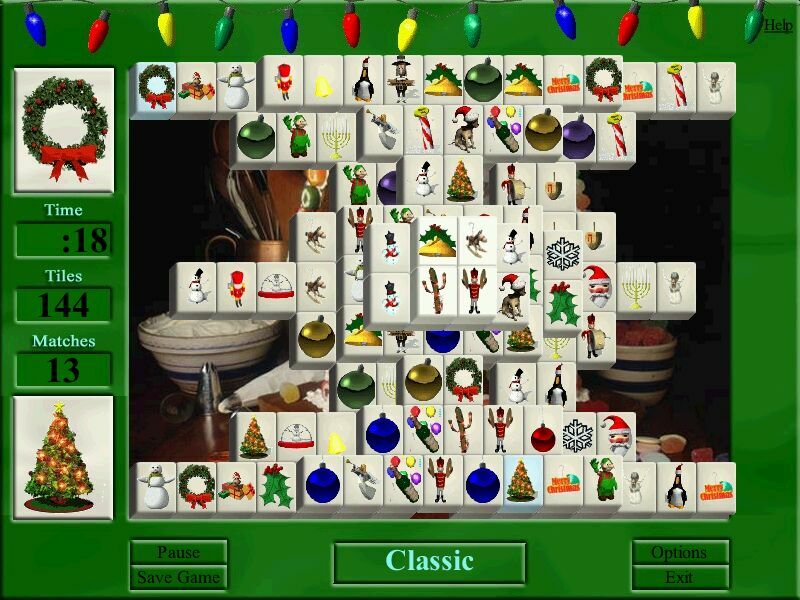 Break out the eggnog, throw a log in the fire and settle in from some real mahjong fun! Get it on CD for a great gift for that special someone in your life...or at only $19.95 for the full version, get it for that not-so-special someone as well! 30-DAY unconditional money back guarantee ! Please note that you can always install a newer update of a trial version over an installed purchased version. Mahjong Holidays II will keep your registration and settings. Alhademic Lines - A well presented Logic game in which you are to move balls over game board in assembling figures of same-colored balls! Arkanoid 4000 - Classic arcade Arkanoid Game with a big bang and post-modern design! A-PoP! - A puzzle game, inspired by the game 'E-Motion' deve loped by US-Gold in 1990! Snowy: Space Trip - Snowy just got too big for planet Earth and is now ready for some space adventures. Superstar Chefs - A platform game similar to Mario Brothers or Bubble Bobble. Super Pop and Drop - hoot and bounce balls around the screen in this high-action Arcade game, Super Pop and Drop is super fun for the whole family. Super Collapse 2 - Click groups of three or more blocks to clear them from the board. Strike Ball - Just when you thought Arkanoid variations exhausted themselves, Strike Ball enters the scene.